Hello friends, this blog post is a small guide regarding the role of an e commerce website in sending Rakhi abroad. Rakhi is one significant festival of hindu religion, celebrated with loads of joy and zeal all over in major parts of India. 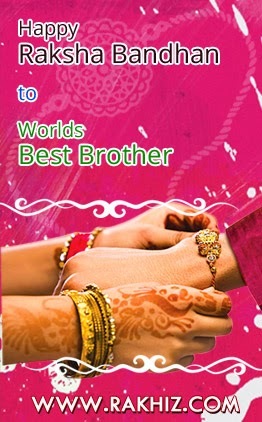 Rakhi also known as Raksha Bandhan, is a sacred festival which symbolize the bond of brother and sister. The online business has contributed a lot in making our lives easier. Now even if your brother lives miles away, Send Rakhi to USA or UK or anywhere in the world, it has become so convenient. A fortunate thanks to e commerce revolution, you can bring a smile on your brother's face even if he lives abroad. Not like earlier times when this task involved too much complication. Now by just tapping a few clicks online, you can get close to your loved ones. The festival is being celebrated in India since ancient times and lot of mythological tales are associated with the its origin. Since, time has passed the festival has gone through various forms. Now, Rakhi is not just about tying a thread, it's lot more than that. A festival is not a one day celebration, in fact you will see the shine in markets from weeks before. Not only for customers, It is beneficial for business point of view as well as they get a fair chance to multiply their sales. In expanding their business and taking it to an online platform can help a business to expand their growth and boost the sale in a significant amount. Selecting a good marketing approach leads to more customer reachability which in turn brings more profit to business. Selecting an idle e commerce website for your business can help in channeling wholesale distributors as well. 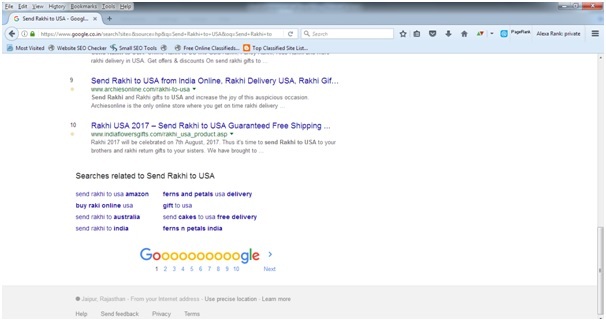 So the question is – how to choose a perfect SEO plan for selling Rakhi online and how to target people that become your repetitive customers? Here a a few attributes of an e commerce website which can take your business to another level. Targeting the best keyword is the initial step in boosting your business. If you overcome this hurdle then the rest of the process can be performed with an ease. If you are able to target the best keywords than think this in a way that you have almost won 50 percent of the battle here. Keyword Research and analysis is the most important stage of SEO process , but it becomes more important when you promote an ecommerce website. This is because you only have a limited number of keywords in your ecommerce store to choose from. In simple terms, keyword research is basically the process to identify search queries that are relevant upon a specific topic. By targeting the suitable keywords you can get a lot more sign-ups, gather more lead conversions and boost your revenue from the existing website traffic. This gives you an advantage to leverage on useful keyword phrases and understand what are your customers are actually searching for. Say for instance, if you are dealing in rakhi business then targeting keywords like send rakhi online, Send Rakhi to USA, rakhi business wholesale, online rakhi etc. can act as some beneficial keywords for your business. Hence, choosing an highly effective seo keyword can become one game changing turn for your business. Whether you're new to online advertising or an experienced pro, you can use Keyword Planner to lay the groundwork for a successful campaign, Google Keyword Planner is a great place to find such keywords. Here, you may get great data about the keywords you want. You may get idea about monthly searches and competition. You may go for some highly competitive keywords here because you will be doing entire link building around these keywords only. Knowing your competitors helps you in getting a striving edge for your business. You can be aware about the present market insights and plan your strategies accordingly. Many times you must have noticed, when we search for a particular item on google it displays millions of results related to that particular keyword. But at the bottom of the page there is also a section which displays all the “searches related to [your keyword]”. This is the place where you will find the most relevant long tail keywords for your primary keyword. This is how you can know what your competitors are aiming at, and you develop a counterpart strategy to bolt your business. This is another delight offered by Google services. It is an excellent technique to find long tail keywords related to your niche. It works in a simple way – start typing a primary keyword and Google will give you a few suggestions related to that search query. Collect and target on those keywords that suits the best for your business. Now when you have hundreds or thousands of keywords in your box, you should think about how to target them ideally. So now forget about making links for each of your keywords manually, unless you have a large team of SEO experts working dedicated for you.Now the keyword targeting process has become much more simplified. Keywords are basically divided in three levels which is – Tier-1, Tier-2 and Tier-3. ● Tier 1 : Tier 1 keywords are used in static pages (home page, about us etc), and category pages. You may use as many as 3 keywords on each page. ● Tier 2 : These keywords are usually the ones used in URL, Meta Details and product descriptions. I suggest using a maximum of 2 keywords per product, because generally product pages have very little content. ● Tier 3 : Tier 3 keywords are those which are used in content marketing, be it your website blogs, guest blogs or articles. These are also long-tail keywords with limited searches. A unique SEO approach is the perfect blend of all the above mentioned levels. The social media web has outgrown immensely. There are infinite online social media platforms where you can promote your business. The more you promote your business, results in more customer reachability and lead generation. Following an idle social media strategy can help you increase your followers and customers easily. If you have done all the above mentioned things rightly, then this is when the SEO comes into picture. If we talk in simple parlance then the ultimate aim of SEO optimization is to increase the customer reachability and the number of visitors leading to your website. When we search on Google we often tend to select only those results which appear on the first few pages. There are million and zillions of search results offered by user, so how will your website will rank on the first page. The planning strategy behind this idea is known as SEO optimization. SEO optimization aims at improving your website’s ranking on various search engine websites. 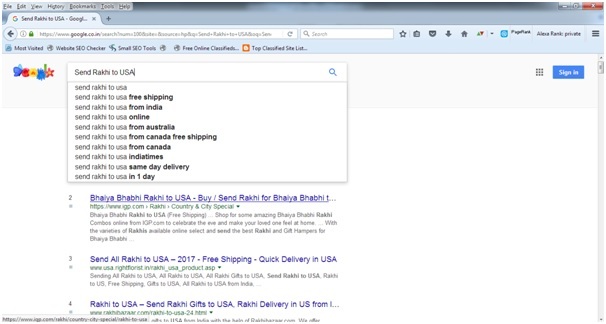 For example: If a user will type “Buy Rakhi online” on Google, then your website must immediately appear on the top 5 results so that it is visible to the user and can boost your sale. Stuffing the right keywords in your website’s content and targeting best keyword strategies can help you achieve fruitful results. SEO is basically an unpaid form of social media strategy. The paid ones include PPC (Pay per click) and campaigns, a detail of which is covered in the latter section. Link building is an essential SEO tactic. It refers to the process of fetching external links to your business. Earning links from highly-trusted domains can result in a significant boost to this scoring metric.It can help you achieve better results in a faster time. Paid marketing is one the effective strategy for business growth. This is more or like displaying an advertisement on newspaper or magazine. Now the approach has got online, and we use PPC campaigns to achieve faster results for our business. A business owner can show ads to the users who are searching for a specific topic or product and need to pay only when the potential user click on the ad.Paid marketing strategies can generate good traffic and conversions on a consistent basis. Give your business an extra kick start, keep your social media accounts updated by publishing posts and pictures of the products you sale. Start writing engaging titles and content to keep your audience engaged, and make sure your posts are reaching to right people at the right time. Apply and adapt an effective SEO strategy to bring a smile on your loved ones face and make your Rakhi memorable than ever. Celebrate it to the fullest and make each day be a festival of joy and happiness. If you liked our post, feel free to share your thoughts and experience in the comment box below. We’d love to hear from you.